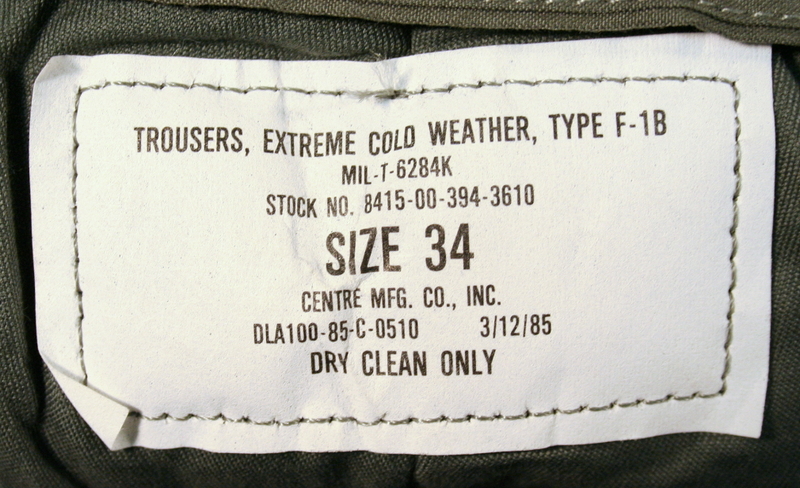 Tag shown for reference, may be yellowed due to age. 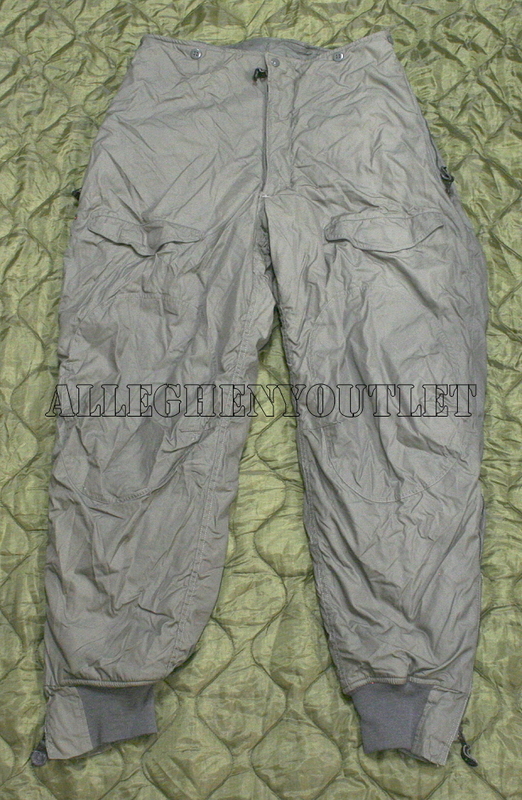 Genuine USAF issue Extreme cold weather Flight trousers worn over regular trousers for extreme cold weather climates. 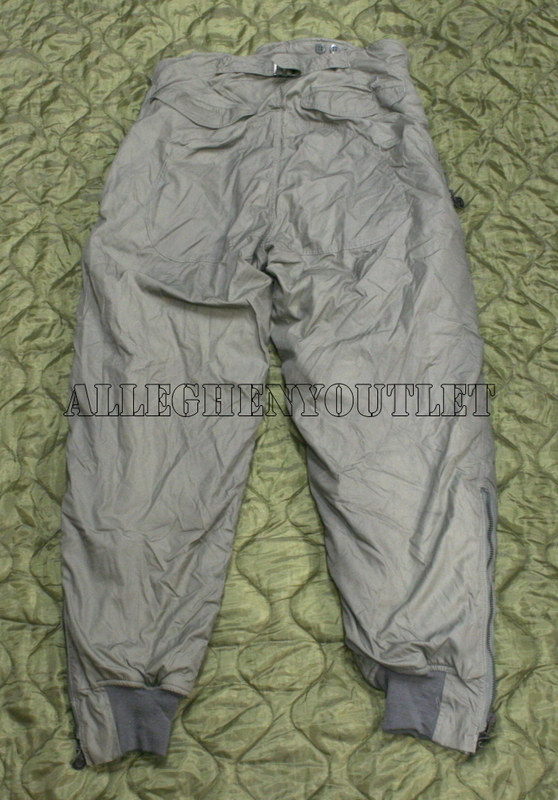 Cotton shell and lining with thick polyester insulation, zipper fly and leg bottoms with knit cuffs. Reinforced knees and seat. Two front and rear pockets with velcro® closures. Can be used with button down suspenders (NOT INCLUDED). Upper zippers for access to inner trousers. Get yours today and start ENJOYING winter again! Check out our other auctions for lots of other cold weather wear.